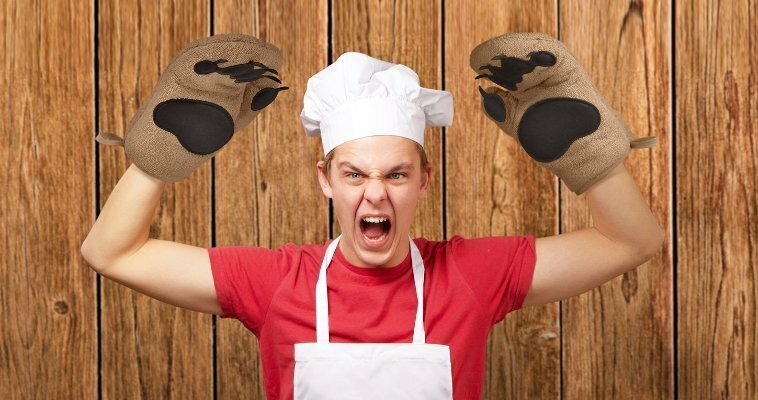 Slip these impressive gloves over your own meagre human paws, pull that roast safely out of the oven, and give an almighty roar as you haul the fruits of your labour to the table. Grr!! Bears are smart creatures. When winter comes, they go and hibernate somewhere until warmer climates come round again. They clearly know the right way to deal with temperature changes! And now they’re lending a helping paw to help keep frail human hands safe from nasty temperatures. 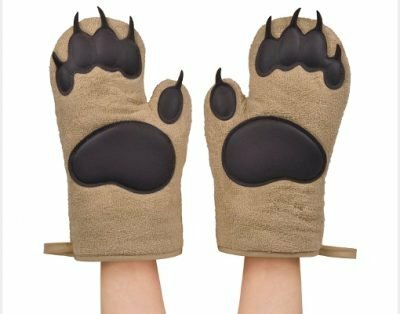 Shaped like bear paws, the oven mitts are made from insulated cotton, and let you handle hot food safely. These specimens are particularly clever, featuring heat-resistant silicon pads to help further insulate human hands from the searing heat of the oven or grill.